Page was previously employed by the iTi from 2007 until he was hired as the administrator for the National Energy Management Institute Committee (NEMIC), a position he took over in 2012. Page has more than 30 years of experience in the HVAC industry. He completed his apprenticeship training in 1984 at Sheet Metal Workers Local No. 108 in Los Angeles. He earned his associate’s degree in sheet metal apprenticeship technology from Ivy Tech College and his associate’s degree in liberal studies from Long Beach City College. 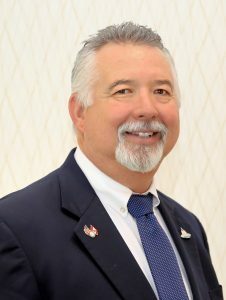 His professional career includes training and certification in basic and advanced testing, adjusting and balancing for TAB certification; air conditioning and service levels I, II and III; indoor air quality, service and TAB instructors training; basics in advanced professional development; and advanced professional development in teaching. He also was a past trainer in OSHA 10 and 30 and holds numerous industry certifications. Page’s experience ranges from the installation of HVAC systems to life safety testing of environmental systems for the city of Los Angeles Fire Department. For the first 10 years, he worked as an apprentice, advancing to journeyman and installation foreman, and then changed departments from sheet metal to working as an air balance technician for Air Conditioning Company, Inc. in Glendale, California. From there, for the next 17 years, he served as a TAB technician, supervisor, HVAC system consultant, estimator and field operations manager for Winaire, Inc. in Huntington Beach, California. While maintaining a successful career in the field, Page earned a credential in occupational teaching with the state of California and worked for more than 10 years locally and nationally to educate the sheet metal workers of tomorrow as an instructor for apprentice and journeymen courses. Page grew up in Southern California with his wife Tina of 33 years. Together, they have raised three grown children. Their son has continued the tradition of working in the sheet metal industry by becoming a journeyman, signatory to Sheet Metal Workers Local No. 105 in Glendora, California.